We look forward to hearing from you. Please contact us. 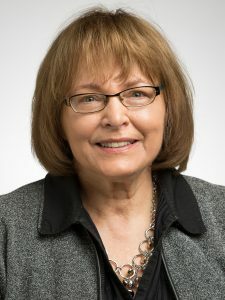 Gail has been active in Career Planning for over 30 years and returned “home” to Valparaiso in 2014 after directing the career planning program at a national law school. She earned both her Law and Bachelor of Science degrees from Valparaiso University. Gail is a past president of the National Association for Law Placement (NALP) and her writing includes co-authoring two early studies for NALP covering the nationwide data on NALP’s Employment Report and Salary Survey. Gail also served on the Indiana Board of Governors, the Indiana Continuing Legal Education Forum Board, and Indiana’s IOLTA Board. She chaired three Women in the Law conferences for the State, and co-chaired the Indiana Legal Education Conclave in 2011. She was admitted to the Indiana bar in 2000. Vicki joined the Career Planning team at Valparaiso Law in 2012. She received her B.A. from Indiana University and her J.D. from University of Cincinnati College of Law. Vicki is a licensed attorney in Michigan where she practiced law for many years. She worked as a litigator in the insurance defense realm handling medical malpractice and automobile negligence cases. She later maintained a solo estate planning and probate practice before entering the world of career services in 2007. In her current role, Vicki counsels students and alumni on a wide range of career development issues. 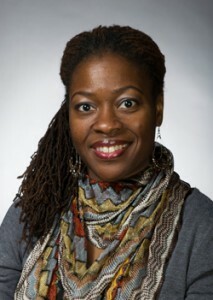 She conducts employer outreach and assists with career-related programming for students. Robyn joined Valparaiso University School of Law in the fall of 2010. Prior to this, she was an attorney with the Indiana Supreme Court, Division of State Court Administration, where she served as program coordinator for the Indiana Conference for Legal Education Opportunity (CLEO). She has also worked for the Indiana Attorney General’s Office as a Deputy Attorney General and coordinator of Victim Services. She is a former chair of the Diversity Committee for the Indiana State Bar Association. She was the 2013-2014 Secretary of the Indiana State Bar and is currently a member of the Association’s Board of Governors. Robyn received her undergraduate degree from Earlham College in 1997 and her J.D. from the Robert H. McKinney School of Law-Indianapolis in 2002. She was admitted to the Indiana bar in 2002.